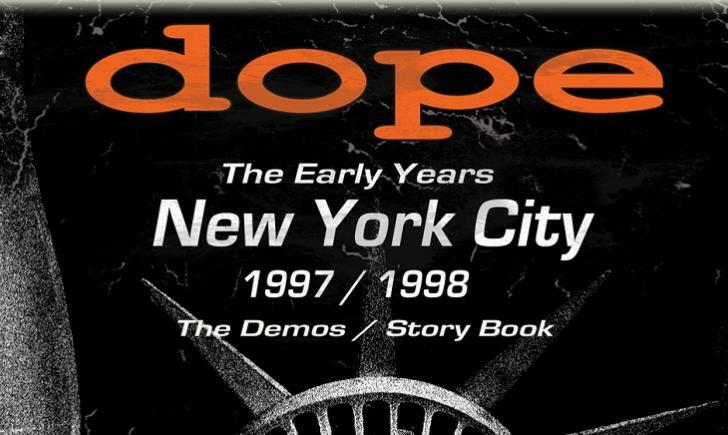 In celebration of the 20th anniversary of DOPE’S inception in NYC, The band is proud to announce the release of Dope: The Early Years 1997 / 1998, the original Storybook and soundtrack of how it all began. Each poster is autographed by Edsel. -Limited Edition “Established in 1997” T-Shirt and Hoodie.